Hates: Homophobic Assholes, pro-circ's, pro-abortion, abusers, etc. I'm Willow. I'm female and I'm bisexual, in an open relationship, Gorean lifestyle, I'm not sorry if that bothers you but It's who I am. I'm 21 and I love writing stories. I like listening to music, talking on msn, reading, and hanging out. My idols are Debbie from Queer as Folk and Dimitri Belikov from Vampire Academy. I hate homophobia and flames, I'm against animal cruelty, abortion, circumcision and abuse. I love reviews ^_^. If you send me enough reviews I just might dedicate a story to you. Like I'm going to do for kibafan17, LOVE YA KIBAFAN17. 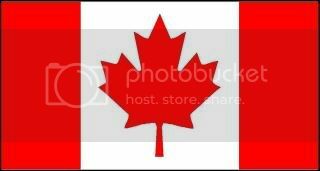 I'm a latina, from Chile but I was born in Canada, so I'm Chilean Canadian.